A significant number of Carillion’s Network Rail contracts have been acquired by Amey Rail Limited, after the company went into liquidation last month. The successful sale provides reassurance to many in the rail industry and continuity for projects around the country. The transfer of Network Rail contracts operated by Carillion Construction Limited to Amey Rail Limited includes projects in the East Midlands, London and North West England. For many of the Carillion employees working on and supporting Network Rail projects, this is good news as the sale is likely to safeguard over 700 jobs and provide security for many other companies within the rail industry supply chain. Network Rail continues to work closely with the Official Receiver’s special manager – PwC – to seek long term transition arrangements for the remaining contracts and staff. Whilst this process is ongoing, the remaining contracts continue to be delivered under our arrangement with PwC to enable an orderly transition. 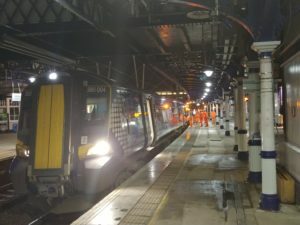 Last month, it was agreed that PwC will pay Carillion employees’ wages for work done on and supporting Network Rail’s contracts until after Easter and many of the construction companies smaller rail suppliers were paid the arrears they were owed to ensure the continued delivery of important projects. Original press release © Network Rail. FOR ALL THE LATEST INFORMATION, NEWS, IMAGES, VIDEOS AND ARTICLES ON ALL ASPECTS OF INFRASTRUCTURE, PLEASE CLICK HERE.